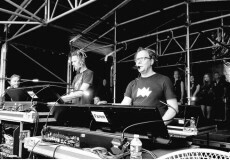 Visual Productions, founded in 1999, is a privately owned company located in the Netherlands, providing software and hardware technology for the entertainment and architectural lighting industries. Originating from an engineering background, Visual Productions combines creative thinking with the talent of listening to market demands in order to develop innovative products. 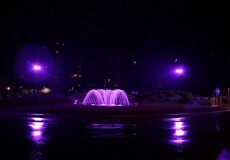 The current portfolio consist of various high-tech, in-house developed, control solutions for intelligent, LED and conventional lighting equipment. The software applications and hardware devices are designed with a strong emphasis on usability, resulting in feature-rich and user-friendly lighting control products that are rapidly gaining popularity within the market. 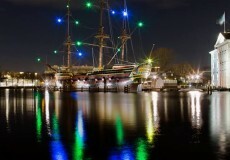 As sponsors for the 6 years of the Amsterdam Light Festival, Visual Productions are proud to see their products yet again controlling some of the festivals beautiful artworks. 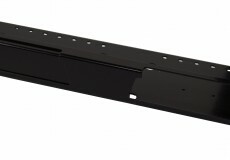 Visual Productions presents a new Product: 19” Rackmount adaptor. Prolight+Sound 2017 is the launch platform for Visual Productions’ new product the TimeCore. 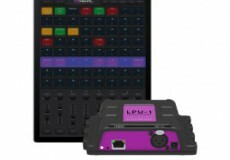 Se encuentra disponible la nueva versión del controlador de iluminación de Visual Productions. 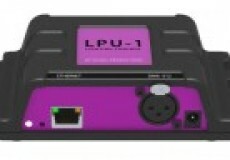 Visual Productions have announced an upgrade to their CueCore 1024 channel solid-state lighting controller. 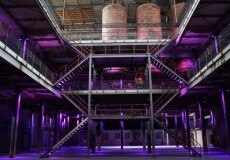 SugarCity in North Holland now hosts a network setup with the Visual Productions’ QuadCores, B-Stations and DIN rail DMX Splitters for control of the venues ambient lighting. 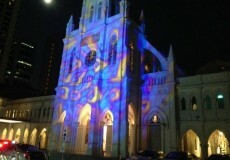 New Cuety videos from Visual Productions now online! Three new tutorial videos to support Cuety! Visual Productions has posted their Cuety videos on its YouTube Channel. Club El Teatro in San Jose, Costa Rica has recently undergone a renovation and the CueluxPro software with the CueCore Solid-State controller were chosen to program and run the LED ceiling. Visual Productions has a new version of the vManager for you. The essential and handy tool that lets you keep all your units up-to-date with the latest firmware. 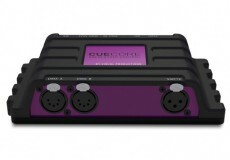 The QuadCore is a new solid-state lighting controller in the CueCore family. 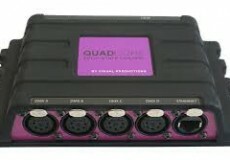 It features 2,048 DMX channels across 4 DMX outputs. 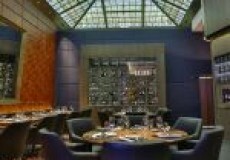 The Singapore based company SweeLee Projects has been busy these past few months with installing CueCores. 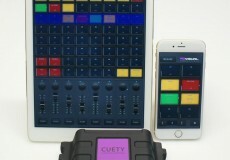 Visual Productions has released the Cuety Remote in the Apple Store. 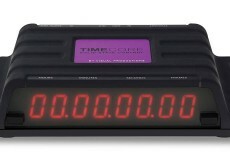 Although designed for its new Cuety, this remote also works with the new software Cuelux. The Visual Productions' Hungarian distributor Colossal has recently been involved in two restaurant lighting installations using CueCore lighting controllers designed for permanent installations. 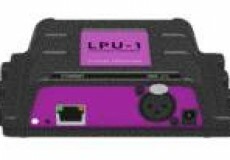 LDI 2014 sees Visual Productions exhibiting with their range of lighting control software for Mac, PC & Linux and solid-state hardware controllers. 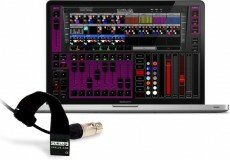 Cuety is a new generation lighting controller that turns your iPad into a powerful lighting console. 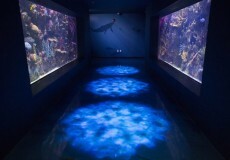 Visual Productions launches Cuety at Prolight+Sound 2014. Next week Visual Productions BV, Lighting Control manufacturer, will be exhibiting at Prolight+Sound, Frankfurt: Hall 11.0 B40. 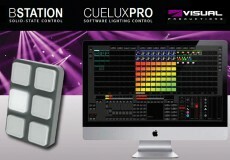 Prolight + Sound 2013: Visual Productions launches CueluxPro and B-Station interface. 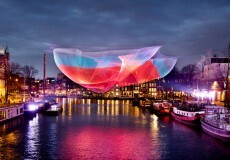 Amsterdam Light Festival: CueCore @ Echelman. 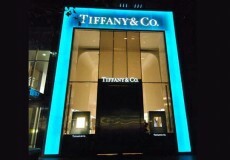 CueCore Illuminates at Tiffany & Co. Visual Productions @ PLASA 2012. 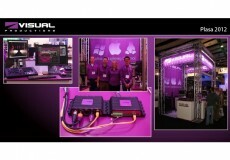 Visual Productions enjoyed a busy week in London during the Plasa 2012 trade show in Earl's Court. Next year's Plasa will be held in ExCel on 6-9 October 2013. 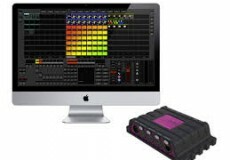 PLASA 2012: Visual Productions presents the IoCore. 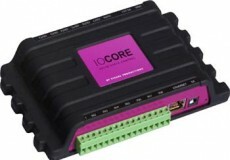 The IoCore is an expansion module in the CueCore product family of solid-state lighting controllers. Visual Productions: una revolucionaria y asequible visià³n de la iluminacià³n. Visual Productions Releases the Personality Builder. Visual Productions has released a tool for creating personality files for use within Cuelux.